Final tour stop! I am visiting Bull Spec and contributing to their column, The Hardest Part. My topic - Starting a New Story After Finishing a Series. It's live now! First of all, I’d like to thank Alex for letting me stop by today. It’s awesome to be here, and I promise not to break anything! I’d like to talk a little bit today about how the films I watched as a kid influenced my writing. When I was younger, I used to watch all kinds of movies with my dad while eating copious amounts of buttered popcorn. Anthology-style shows like Creepshow and Heavy Metal were among my favorites. Fast forward to last year. I had a handful of stories and an idea. That might sound like a corny first line from an autobiography, but it’s true. I started to notice commonalities between the stories. Dystopian societies, personal secrets, feelings being used against people, etc. Before I knew it, they were all coming together in my mind, and I had to write the story. A Silent Soliloquy isn’t exactly an anthology story. In fact, I’m not quite sure how to describe it. There’s a narrator, and it is without a doubt her story. The other stories that have been woven into the narrative are her own accounts of the lives of others. While my story may not be quite like films like Creepshow and Heavy Metal, I credit them with its existence. Watching those shows when I was younger allowed my brain to see the connections that were there and gave me the courage to make the story happen. They infected me with their creative genius. I’ll take an infection of creative genius over a real-life zombie apocalypse or super flu any day. Now, who has the popcorn? I’m hungry. Thanks for all the congratulations for making The Best Sci-Fi Books’ The 21 Best Space Opera Books. I still can’t believe CassaStar was number four! Special thanks to my co-hosts and all the participants of the Insecure Writer’s Support Group. The heartfelt posts spoke for themselves and if you’re not part of this, please consider joining us. Remember the point of the group is to encourage one another, so please visit others on the list and return comments of those who visit you. I’ll be looking for co-hosts for the fall, so if you’d like to help out, let me know. Every co-host has said they really enjoyed the experience – trust me, it is a lot of fun on the hosting side! With poor reviews, I thought it would be atrocious, but it was much better than anticipated. Just don’t put too much thought into the history or it will fall apart. Luke Evans (Bard in The Hobbit) was really good in the role. It was a nice twist to turn Dracula into an empathetic character just trying to save his family and country. Also had some good action sequences. Granted it’s supposed to be a comedy, but they could’ve put more than $1.99 into the special effects. The fact that it was trying to be funny both helped and hurt the film. And there was nothing horrific about it. Did I mention the puppet beavers…? I’d wait until RiffTrax got a hold of this one. "What are three things that you'd do tomorrow if you weren't blocked by fear?" Join a rock band and hit the road. And sorry, Michael – I could only think of two things! What lifehacks make your life easier? Metal music is my lifehack – put it on and I’m a working machine! What is your day job? I work in web design, graphics, and technical editing. And I get to blog from work! What sparked one of your book ideas? Can you co-host the IWSG this fall? Have you seen Dracula Untold or Zombeavers? How would you answer Michael’s question? What are some of your favorite apps? And who else is going to see RiffTrax: Live on Thursday? Don’t forget to visit Bull Spec! I love TB's cover art. Really eye-catching! Congratulations as always to all the authors. If I wasn't afraid I might, just might, learn to celebrate who I am, instead of concealing her. But probably not. Old habits die hard. Loved your two things you would do, Could I join your rock band playing my tambourine? Congrats on your 4 books Alex, you once said the first was the only one you'd write. I too am gathering poems for a possible no. 4 book, it's just a thought at the moment but something to aim at all the same. Looks like a winner, LG. I'll check out Dracula Untold. Loved seeing what you'd do if you weren't afraid. I think we're all afraid of quitting our jobs. Me too, even though I just work part-time now. Interesting that you love Twitter. I don't know how to connect with people that much with it. I went to Bullspec, but I guess i will have to check later. If fear didn't hold me back I would do the following. Big congrats to the authors and great covers. And congrats on your books Alex, best wishes! Sounds like Zombeavers is an insult to the Muppets! Congrats to TB and LG and all the new releases! I recently watched Dracula Untold and actually enjoyed it. Alex, have a great week!! Lasik gave me an idea for one of my books. It was the glow you see for the first couple of month when looking at any lights, like street lights or signal lights. A bunch of what ifs and I had my YA portal fantasy. Congrats to L.G. & TB Markinson! That's awesome! You know if you need me for #IWSG, I would be happy to help out. If you run short, let me know. I am sorry for anyone who has to conceal who they are. I am not sure what I would do these days if I wasn't afraid. I think it's fabulous that Cassa Star was Number 4. It is proof that blogging helps make you well known and therefore encourages your followers to read your books. Michelle, you're number one! Play with your iPad more. It can do some amazing stuff. Elephant, never too late to change. Yvonne, yes you can. And you should write another book. Natalie, I'm not good at it either but I do use the app. Truedessa, it should be up soon. And technically I am in a rock band, but not quitting my job anytime soon. Thanks, Heather! And check out the Dracula movie. Jo, I think it helped all right. Zombeavers? Seriously? The title made me laugh out loud. Three things I'd do if not for fear: yeah I'd quit my job, too, but it isn't just fear stopping me, it's the lack of money that would follow! I just heard of Zombeavers the other day. *LOL* Hilarious! Yeah, I'll wait until RiffTrax gets a hold of it. Great guest post, LG! I'm hungry for popcorn now too. I could co-host IWSG for September or October if you still need folks. :) Have a great week, Alex! Congrats to the last blog tour stop - you made it! And yay again to being 4th. To Michael's question: I'd sell everything and hit the road to see the world. My favorite apps are any that don't need my personal information or data-mine me backhandedly just for using them. I quit my job to be a writer, and I don't have much of a filter, so I guess there's not much I won't do when it comes to fear holding me back. I think a lot of people would quit their job to write or do whatever they really want to do if it wasn't for fear of ending up homeless or something. Michelle, Huntress, Cathrina, Heather-Thank you! Your kind words are much appreciated! Christine-I'm glad you liked it! Setting up a blog tour was stressful, but I wanted to make sure that each guest post was as good as I could make it. I hope that proved to be the case. I'd answer Michael's question with putting my books out there (they're not quite ready yet, but fear is probably my biggest opponent). Congrats to all the authors. I'd be lost (quite literally, even) without Google Maps and iTunes. That bloghop made me think. What would I do if I didn't feel fear? Geez. I think I would grab a backpack, a couple of dwarves and become a world trekker. Thanks so much for plugging The Miracle Girl. Dude, Zombeavers sounds like a dud even though they were kinda aiming for a super cheesy B movie. B movies can be awesome in a terrible way. Doesn't sound like they succeeded. I'd be happy t co-host in October or November. Could possibly do late September. We're planning a trip in Sept so that might be iffy. I blog from work, "retired" cough unemployed counts, right? lol Fear has nothing on me, I do what I want at my sea. LG Keltner - that is awesome cover! I like the premise of the book too. What sparked one of your book ideas? Walking the the ran on a cobbled stone street. or Zombeavers? No, I haven't gotten up the nerve. Madeline, I really want to see American Sniper. Marcy, money is important unfortunately. David, I struggled with it! Al, take enough dwarves to carry all of the souvenirs. TBM, you're welcome! Yeah, they failed at cheese. And thanks! Fear of no money seems to be the biggest one. Alex, I can't live without Google Maps either. Or my Kindle. Hey L.G. - Congrats and it's always lovely to know the story behind the story. Come by for a visit anytime, Popcorn is always available at my house! Congrats on your continued success, Alex, and I enjoyed the Dracula story too! Everyone said it was all old story, but I found it new. Besides Blogger, I guess I'd have to say FB is a favorite app. Congratulations to L. G. Keltner on her book A Silent Soliloquy. An intriguing title. Never heard of Zombeaver. Am I living a way sheltered life or what? If I were to do anything, I'd sell my possessions, by a camper, write on the road to South America somewhere. Hi Alex! I love your take on zombie beavers. I can't believe that is an actual movie! I thought Dracula Untold could have been so much better. The beginning was actually great. Thank you for your participation in the blogathon. I love your entry! Congratulations to LG and TB on their new releases. I was a hammer fan in my early years so Dracula, yeah! definitely! CassaStar really is making headlines for good reason. I haven't seen Untold or Zombeavers yet but I am seeing Jurassic World with friends, should be great fun! Congrats to L.G., sounds like an intriguing book. I was wondering about Dracula Untold so now I'll give it a look. I'm just beginning to use apps on my phone so I don't really have one I can't live without but they can be addictive. I can't allow myself to be blocked by fear or I'd be a mess. I do have my days, that's for sure, but mostly I take fear as a sign I need to do exactly the thing I'm afraid of. I'm going to consider this question though, because it is an excellent one and there may be an answer. Thinking of L.G. 's statement about how her life was shaped by movies, makes me think of the movies I saw as a kid. Overall though, I think my life has been shaped more by books than by movies. I did answer Michael's question today. I haven't watched either of those movies. I use most of the same apps as you do. Don't think I could force myself to exercise to if not for iTunes. Keltner's book sounds very interesting. Congrats to her and to T.B. on their newest accomplishments. I did quit my job and that was the easy part. Figuring out what to do now is scary! Hoping for some big changes soon. I think I'll take LG for drinks (or chocolate, or chocolate drinks), so I can risk getting infected by creative genius. Yes! I would be happy to co-host again this fall. I've broken 50 comments on that blog which is huge for me. Posted my answer to Michael's question? Check. Happy Monday, Alex. My three wishes? Yep, quit my job...so I could take writing courses, and travel. I'm actually working on a story now that was sparked by a few movies I've seen. In the past my inspiration has come from dreams and life. Have fun at RiffTrax. I have never heard of RiffTrax, so that's a new one for me. And Zombeavers? Lol! I do want to see Dracula, I loved that actor in the LofTR movies. Congrats to L.G. and T.B.! I've never heard of Zombeavers. Creepy! Congrats to L.G. and T.B. on their latest releases. And thanks for the reviews. I've being skipping over the Zombeaver movie trailer whenever I come across it. Glad my intuiton was on point there. I did see the trailer for Dracula Untold and thought it was rather intereesting. Maybe life and time will work to let me get in a movie and do some writing one of these weeks lol! That hurt my brain just reading it. I have a lot of game apps, like HayDay (better than FarmVille), HappyStreet, TinyZoo, and CrossFingers (tangrams). Probably my most useful app is OmerCount, which I use during the 49 days leading up to the holiday of Shavuot. It provides the text, in Hebrew and English, of what day of the Omer it is, and provides the blessing for those who don't already have it memorized. My favorite part is towards the end, when it also gives the messages "One more day left!" and "Tomorrow is Shavuot!" I think I'd love to see the Rifftrax Sharknado 2. That sounds almost too good to be true. Southpaw- Thanks! I love the cover too! The artist did a great job. I'm also glad you like the premise! Beth Ellyn-I'm glad you like the cover! Yolanda Renee-See, I already knew you were cool, but knowing that there's always popcorn in your house puts you over the top! Bish Denham-I'm glad you like the title! Karen-Books have shaped me too. When I stop to think about it, it's crazy to think how putting your creative work out there might possibly influence someone else. Rawknrobyn-Drinks, chocolate, and chocolate drinks all sound amazing! The problem with being infected with creative genius is that its effects tend to be sporadic and unpredictable. It makes life interesting, though. I'm still so excited for you and CassaStar! It's so wonderful (and well deserved). And I have to admit, I liked Dracula Untold. Fear is a sure deterrent.Conquering fear is a measure of persistence. Thanks Alex! I couldn't agree more about the creative genius of Creepshow and Heavy Metal. That's why we love them! What a bomb-diggity interview, and I hope you have a first-class morning! Congrats to LG! She'll be on my blog eventually. I recommend everyone try cohosting IWSG. When I did it, it was a blast. Did not feel like work at all. apparently there is going to be a Sharktopus versus Whalewolf. Holly, there's an app for everything. Carol, I would be lost all the time. Karen, that's why I could only think of two things. Tamara, thanks, and that's good to hear! Angela, avoid at all costs. Carrie-Anne, there really is an app for everything. Jeremy, MsMariah's review of it made it sound messy. Patricia, glad you enjoyed yourself! Deadly beavers? I could see Paris Hilton and the Kardashians be quite scary but those cute little varmints only plug up dams. I have wanted to live in Europe(Austria actually) ever since I was 16. I would also love to work in an art museum but I love my job. You never know...one day. Sharknado 2 with RiffTrax, yes, but Zommbeavers without, no thanks. Congrats on the book, L.G. 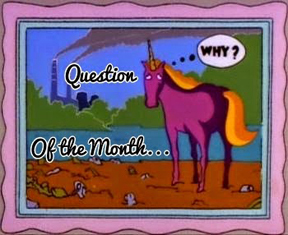 Answering the Question of the Month is difficult--what would I do differently? There was a time when I might have said I should have gone to New York instead of college and struggled to find my way in the art world, but if I had it's possible I'd have burned out long ago and wouldn't be painting today. I think things happen as they should so I guess I'm content with my life. Is that an answer? I did see Dracula Untold and I think I liked it okay, but I can't say I remember much about it. I'd like to go on the road with a rock band or something. It's a great life as far as I am concerned. That "Zombeavers" keeps popping up on Netflix. I really hate them for it. "Lots of visiting" is putting it mildly! I think you must have a clone dedicated solely to visiting blogs. I live your fearless answer. I love your fearless answer. Fun blog hop. Most of my book ideas were sparked by various movies. Mostly, movies that ticked me off, so I had to rework something from them and make them come out the way they should have in the first place. A Silent Soliloquy sounds great, LG! Congrats! I loved Creep Show! I'm a longtime horror fan, and sometimes movies do spark story ideas for me. I just need to complete a few of those starts. Write a fantasy novel might me my fear answer. Or ride a roller coaster. Can't believe I used to love roller coasters as a kid. Dracula Untold wasn't too bad. At least he wasn't sappy. I can co-host this fall. Pick any month. The spark for my second published shorty story "Red Strip", was basically a cashier at my local supermarket dressed up like a cat for Halloween one year. She had a tail, ears, whiskers and a black leotard under her clothes. That gave me the idea to write a story about a punk rock singer who dressed liked the legendary Wendy O. Williams and also played classical guitar. Joanne, that doesn't sound fun. Liz, movies are my inspiration. I was listening to Bill Burr talk about being in Zombeavers. They all knew it wasn't great, but they didn't care because it was a lot of fun. Maurice Mitchell-I'm glad to know I'm in good company with my movie preferences! Patricia Lynne-I'm looking forward to being featured on your blog! L. Diane Wolfe- Thank you! dolorah- As a movie, it definitely seems to leave an impression on people. G.B. Miller- Inspiration can come from anywhere if you're open to it! Also I can co-host IWSG in the fall, I'd be happy to! I think the only month I wouldn't be available to do it is October but otherwise stick me in whenever you need help. I liked the Dracula twist too. I definitely wouldn't mind watching the Dracula movie, but the beaver movie is a sure pass. As far as IWSG co-hosting, all you need to do is say when. My most important app is Dashlane, because it keeps my passwords safe and automatically logs me in. I have it on my computer and cell. Nice to meet LG - thanks for hosting, Alex! Heading over to your guest post now. Didn't see it posted yet (or did I miss something?). Will try and check back later! We meant to catch Dracula when it was in the theatre, but never made it. Glad to hear it's worth a rental, at least. If I wasn't blocked by fear...I dive into the deep end of the pool, to learn to ice skate, and to go kayaking. These sound lame, I know, but it was the best I could create. Plus I am a senior citizen and don't want to break anything important. My husband saw Zombeavers. I thought he was kidding at first, but found he wasn't. This deserves to be RiffTraxed. Congrats to LG and TB! What would I do if not blocked by fear? Go skydiving! Dreams spark my book ideas most of the time. It IS just a mash up of everything I saw/thought during the day so yeah. Dracula Untold was a pretty cool take on the thing. Obviously it's a half-way shut brain down action movie, but cool none the less. L.G. --Silent Soliloquy sounds good, so I'll check it out. Alex, since I'm working on a screenplay I'll tell you one book that helped to inspire it, and it's an old memoir by a journalist. One of her anecdotes was about inherited memories among animals--how seals in the Galapagos were terrified of human because a couple centuries ago humans had hunted them. No one since then has done so, but the seals are still afraid of us. As I blogger I'm always interested how other blogger work. Therefore I read the "This is Hw I Work Bloghop" with great interest. For me it was goo to read that there are more blogger who post only once a week like I do. At I work I'm permitted to use internet for private purpose during breaks. Congrats to the authors. Haven't seen either of the movies and I don't think I will. As for the question, I think I would pet a cow, eat an insect and go hang gliding. My favorite apps are tailwind and like you - google maps. Eva, thanks! And I'll have to look for that app. Karen, apparently it will be Wednesday instead. Sorry for the mix-up. Susan, yes it does! Are you seeing Sharknado 2 on Thursday? Saumya, I use that app! And thanks so much, both for the kind words and passing on my book to your brother. Roland, he does look similar. Edi, once a week works for me. Truedessa, I think there was a mix-up and it will post on Wednesday. Sorry about that. Rhonda, you and those cows! RiffTrax is doing Sharknado 2? That's hardly a challenge. They should do Silence of the Lambs! Here I am, tail-end-charlie again! I love L. G.'s idea for her book, with the narrator with interwoven stories. Sounds great. Sharknado 2 deserves nothing but the best from RiffTrax. Lifehack of choice: The small fly fishing tool that lets me tie a nail-knot for fly fishing in mere seconds instead of minutes that it used to. As well, fly fishing locations have been the inspiration/setting for many of my essays as well as my yet unedited/first draft novel that is waiting for me to show up. 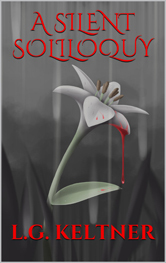 A Silent Soliloquy looks like a great read. I'm adding it to my TBR list (which grows longer every time I visit your blog, Alex). If I wasn't held back by fear, I'd probably jump out of an airplane, although sometimes just being nice to a mean person feels like facing my fears. Thanks for all the great info, Alex. It is nice to be in the know. I would like to co-host the IWSG this fall, but I have never co-hosted before, so I wouldn't know what to do, but I wouldn't mind trying. I actually watched Dracula Untold with my sister and she liked it. All the best with your last blog tour stop. You're almost done. Best of luck! Congrats, L.G. Love the cover. You're an actual graphic artist...do you shake your head and moan when you look at my scribbling on the Flipside? LOL. Congratulations on Cassa Star! Soon we'll all be saying, "I knew Alex when ...!" Karen- Nice to meet you too! Sandra- Thanks to you too! Man, there are so many encouraging people here. It's great! Libby- This is a common response. That's a good thing for me. I'm glad I'm in good company when it comes to enjoying Creepshow! Classic stuff. Mine is three all wrapped up in one. I'd convince my husband to quit his job and I wouldn't work, we would take the kids out of school and travel around the world. I would write and try to figure out how to home school in foreign countries. Ha. Well we have to dream don't we. I have to admit I'm kind of a Dracula fangirl. Looks like Dracula Untold is in my future. Sean, I think they already did. Mark, that's not overcoming a fear, that's just insane! Murees, thanks!! And it's both easy and fun. Melissa, talk to Rhonda Albom - she did just that! Congrats to LG! What a fabulous cover! If I had no fear, I suppose I'd leave my house without makeup on. Fear - Rosa Parks' attitude to fear reflects my own: "I have learned over the years that when one's mind is made up, this diminishes fear; knowing what must be done does away with fear." We all only have one life and we should not allow fear to stop us from living it. Time is precious - embrace that fear and make the most of it. Brilliant post, Alex and wish you and all featured authors lots of luck. I know I'm being a massive Debbie Downer, but I just don't get this whole Sharknado and shark week thing. I did, however, watch some beware-of-sharks (they're dangerous) show two days ago. It was beyond disturbing. TB's latest looks awesome. Congrats to her! It's nice to meet you, L.G. I loved hearing about your experiences with films in your younger days influencing your writing. I've had a similar experience. I wasn't much of a reader as a kid, but could never get enough of dissecting movies and cartoons. Weird.... :) And Creepshow ... YES! 'Thanks for the ride, lady!' I will never ever forget that episode. My BFF and I laughed for days after we saw that one. Major congratulations, Alex! Thrilled for you. Congratulations, L.G.! It sounds like a really unique and cool concept. I'd quit my job if I could, Alex! And as for reading recs, I read almost any genre. Really. I definitely can't live without Google maps! With all the traveling I do, I'd be lost without them! Congrats to LG and TB! I love the idea behind the narrated group of short stories in LG's book - definitely adding it to my TBR shelf. I might be able to help with IWSG in October or November. Yes, I like the suggestive cover of The Girl Miracle! I actually liked Dracula Untold too. I don't know much about the history, so it was a cool flick to watch for a free Redbox rental. It is Shark Week... or Shark Month... or something like that, lol. I keep seeing bloggers writing about it. Today also marks one year for the World premiere of Star Trek Beyond. Wow, a lot going on. I've been so out of it lately, I completely forgot about IWSG on the first. How is that possible? 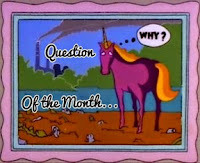 Interesting answers on the 'How I Work' bloghop, also the questions of the month. This is the first time I've heard of Zombeavers! It does sound like a comedy but $1.99 worth of special effects? Not so good. If I weren't blocked by fear I guess I'd start focusing less on work and commit to finishing all of my manuscripts! Zombeavers? What next? Sharks falling out of the sky? Well, at least we can say there is only one of those movies. Wait, what? Oh, I give up. I'm really excited about Sharknado 3. Can't wait! LG, let's get that popcorn going. Yum. I don't have a smartphone so am app illiterate. Susan, I think that's exactly what it means. Sheri, Sharknado has nothing to do with real sharks. Trust me. I've seen both films. Zombeavers was amusing, but a bit dumber than I would have liked. I can host in the fall. I'd prefer after September so I can get through the craziness at the beginning of the school year. Zombeavers? There are no words... It's right up there with Sharknado huh? Congrats to LG and to you on CassaStar. Good stuff. Number four? That's like the BESTEST number EVER! As for the jungle peanuts question: I know a guy who knows a guy. Re-reading Prince Caspian before the movie came out is what kicked off the story idea. Mina, the story was better than Sharknado, but the special effects were far worse. One of my book ideas was sparked when I saw a picture of Penny on Gary's blog. This picture triggered a Shiny New Idea that has driven me crazy as I am scared of dogs and have to cross check each fact online, so that I get a dog's body language, mannerisms etc, right. Love the cover of The Miracle Girl. I just downloaded L.G. 's book. It sounded irresistible. I need to watch the Sharknado movies. I'm missing out on something. Always so much going on over here. I'd love to co-host the IWSG this fall. Just let me know what you need me to do! LG, you had me at popcorn! I practically grew up in a movie theater-my father was a projectionist. I love the title and cover-your story sounds fantastic! Your site looks as always, vibrant and fun!! Thank you for your review Zombeavers !! 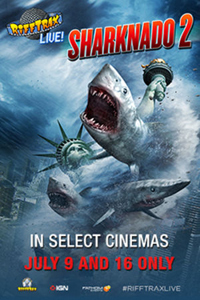 I won't watch "Sharknado 2" until I see the first one. I don't want to miss any critical plot points. Nice to see the guest post by LG, a great insight and a darned good brand of television. Thanks for all the links which I thoroughly skimmed through. Have a good weekend, yep, it took me that long to get here! 1. skydive 2. scuba dive 3. climb Yosemite's Half Dome. BUT- I'm a chicken! Feet firmly on the ground and only snorkeling! Cheers- have a great weekend and thanks for being such a great visitor! Rachna, I remember you talking about that. Ell! Just glad you're back. Congrats to LG on her book! Yay for creativity and for buttered popcorn! Congrats to TB on her new book release! 2. Tell some people what I really thought of them. Uncut. 3. Sneak on a cruise ship to find all my blogging friends worldwide. Yup, I'm nuts and need fear. Glad I finally got on a computer that allows me to see blog sites beyond my own (took 5 min for your page to pop up Alex). Enjoy your weekend Alex and love you Ninja dude. I agree with your thoughts on Dracula Untold :) And Zombeavers... who thinks if this stuff, haha! Hi Alex. I haven't been by as much as I should as my iPad kept freezing up on me when I wrote blog comments on the road. Not all the time, but enough for me to stop bothering as I was wasting too much time. Lovely to see LG Keltner here today! hmmmm...Dracula Untold might be our rental tonight! Thanks, Alex! Google is great and therefore I don't need USA Today. My book ideas come from just about everywhere - the blogging I've done about my idea file shows that. ^_^ The current project started as an Ocean's Eleven meets Indiana Jones thing, and while that's not quite how I'd describe it now, it was a good place to start. Congrats for making that 21 Best Space Opera Books! So many of my favorite sci-fi authors and books are on that list! Sorry I'm just getting here now, and sorry I missed posting for the IWSG on the first Wednesday. I was in Juneau, Alaska. I have internet for the next few days. I can co-host for October if you still are looking for someone. Or November, but I'd prefer October. Blocked by fear? 1. Drive on the freeway. I can't even think beyond that! 2. Maybe drive from Colorado to Newfoundland! AAAAAAAAAAAAH! Sensory overload! I'm always amazed at how much cool stuff you manage to squeeze into a single post. Super duper congratulations on your sci fi books doing so well. Not that I'm surprised... anybody else around here surprised? Nope. Nobody else is surprised. You totally deserve it.